A first-of-its-kind pilot program between Toronto Pearson International Airport, Uber Eats and HMSHost will deliver food right to a passenger’s gate at the airport’s Terminal 3 International and Domestic Departures area. Passengers can order food from HMSHost restaurants located within the airport, using the Uber Eats iOS iPhone or Android app, choosing from dining spots including Caplansky's Deli, Paramount Fine Foods, Smoke's Burritorie, Smashburger and Fionn MacCools. 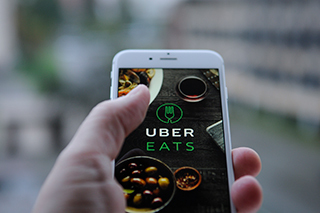 The Uber Eats pilot is scheduled to launch in the third quarter of 2019, and will be available at gates B22–B41 and C30–C36 in Terminal 3.